An Introduction To Red Mist Cycles & Beating The Beeper ~ Feel For The Water! Advice & Tips to Improve Your Swimming. 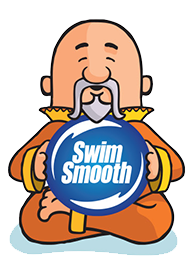 At Swim Smooth we use Tempo Trainer Pros as a virtual training partner. If you want to swim at 2:00 / 100m in a 25m pool then you simply set the Tempo Trainer to beep every 30 seconds and time your swim so that you set off and turn at each end of the pool on the beep. Experienced swimmers are used to using a pace clock to time their swims but using a beeper like this under your swim cap is even more powerful because it gives you feedback during your swim. Get ahead of the beeper on the first length and you know you've set off too fast so you can work on improving your pace judgement next time. Or later in a swim if you start to drop off by a second or two, the beeper pushes you to catch it back up. That's the normal way of using a swim beeper, which we recommend for CSS/threshold type training sessions. But there is another method and that's 'beating the beeper' which we recommend for longer Red Mist sessions. Red Mist sessions are challenging endurance sessions where you swim slightly slower than CSS pace but over longer sets (normally 4km) which makes them perfect for Ironman, 5km and 10km open water preparation. However, the fitness gains from completing a Red Mist session on a regular basis are huge and so even if you are racing over shorter distances, we recommend adding one into your weekly training if you have the time. We call these sessions Red Mist because they are mentally challenging to complete and sometime during the session you are likely to feel like quitting - this is the Red Mist descending on you! Don't quit - keep pushing through and out the other side. Rather than staying with the beeper during these sets, we set the beeper to a slightly slower pace so you can get ahead of it as you swim. You can push on and get further ahead of the beep if you feel good, or only get a little ahead if you're not at your best. The rest you get between swims is the amount you got ahead - you set off on the next swim when the beeper catches you back up (so the beeper is actually set to the cycle time, not the swimming pace). To stop the beep driving you crazy we make one other small change, which is to use a beep every 50m/yds rather than every 25m. To calculate the beeper time we use something called Red Mist Cycles which is a scale of difficulty - the lower the number the faster the pace. Red Mist Cycle 2 (RM2) is very hard swimming but RM8 or RM10 is significantly easier. In the above set there's no additional rest - you get ahead of the beep, stop after each swim and then when it catches you up, you go again. If you are swimming quick enough you could swim the whole set at the same pace but the likelihood is that you will have to swim progressively faster to stay ahead of the beeper as you go through, particularly on the 400s and 800s. Making you swim faster as you become fatigued is a common theme of these sessions and is why they are so physically (and mentally) challenging. creeps up on you it does. To calculate the number to program in the Tempo Trainer, take your CSS pace per 50m and add on the RM number. So if your CSS pace is 2:00/100m, that's 60 seconds per 50m, add on 7 for RM7 making 67 seconds to put in the beeper (1:07 in mode 2). Remember, you need to get ahead of the beeper to 'earn' your rest between swims! In practise this is very easy, as you go through the above set all you need to do pop the beeper out from under your swim cap and reduce the setting by 1 second at each change of RM cycle. Red Mist sessions are a similar concept to a long fast paced run or 2 hour bike ride that gets progressively harder. 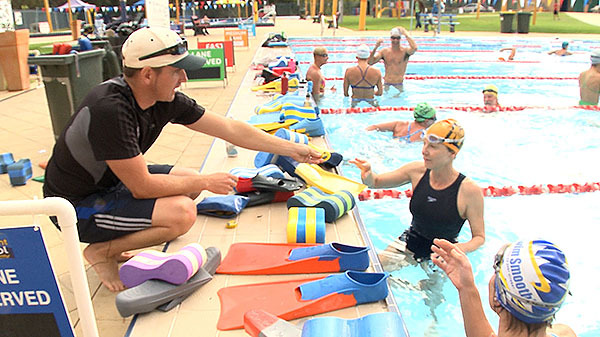 These sessions are mentally challenging but particularly beneficial for your swim fitness because you might rarely swim continuously over longer distances which is a real gap in your preparation. Typically swimmers average a pace 3 to 4 seconds slower per 100m than their CSS pace during these sessions - still fast swimming! "In practise this is very easy, as you go through the above set all you need to do pop the beeper out from under your swim cap and reduce the setting by 1 second at each change of RM cycle." I've just tried both pink and red mists over the last couple of weeks. I found it to be a little bit fiddly to change down 0.25s/100m as the sets got faster (mode 1 tt). The above method would appear to be easier, there are three buttons, no need to take out from under the swim cap - just gently press the correct one. To begin with, I was a little worried about the distance (4km), but I had a great sense of achievement having completed the set. Sorry, to clarify, should have been 0.25s/25m on mode 1.